Episode 1 "The Ground Beneath Their Feet"
Bull finds himself on the opposite side of voir dire, when he serves jury duty while simultaneously mounting a defense for a woman on trial for killing her daughters murderer. Bull and the TAC team are at the center of a federal civil suit dividing the city when they consult for the NYPD on the defense of a police officer accused of excessive force in the shooting of an unarmed man. As they aim to select jurors who will focus on the shootings circumstances, the social politics surrounding the case create tension within their own ranks. Episode 4 "Justice for Cable"
Business becomes personal for Bull when TAC assists with a civil suit against the bank that funded the terrorists responsible for Cables death. Also, Marissa enlists her former homeland security co-worker and international banking cyber-investigator, Taylor Rentzel, to help with the suit. Episode 5 "The Missing Piece"
Bull joins the defense team of a seemingly unwinnable case when a doctor is put on trial for murder after his submission to a DNA database links him to a homicide. While Bull and Benny work on selecting jurors who are predisposed to trust their instincts instead of incontrovertible evidence, Danny and Mackenzie research if their clients DNA sample may have been contaminated. Episode 6 "Fool Me Twice"
Bull and the TAC team help one of their own when Marissas restaurateur husband, Greg, is charged with involuntary manslaughter after one of his employees dies in a kitchen fire allegedly caused by negligence. During voire dire, Bull and Benny aim to select jurors who will believe the fire was an accident and not a pattern of irresponsible management. Episode 7 "A Girl Without Feelings"
Bull confronts his guilt over closing his psychiatric practice to start TAC when his former patient, a young woman who is a clinical sociopath, goes on trial for killing her brother. When Bull and Bennys client has no memory of the crime due to her mental condition, they enter a "Not Guilty by Reason of Insanity" plea and aim to seat jurors that are sympathetic to mental illness. Episode 8 "But for the Grace"
Episode 10 "A Higher Law"
Bull agrees to have TAC represent a priest who is charged in a fatal hit-and-run after hes found behind the wheel of the church van involved in the crash. But the case is complicated when the priest claims that the actual driver confessed to him, but he cant reveal that persons identity due to the confidentiality that comes with confession. Bull and his on-again, off-again romantic rival, Diana Lindsay, join forces to create two separate but collaborative defense teams when Dianas niece and her husband are charged with armed robbery. As the trial gets underway, Bulls reunion with Diana is strained by his new post-heart attack regimen. Bull mounts the defense of New York Citys chief medical examiner, Julia Martin, when she is charged with tampering with evidence tied to the years-old case that made her career. As Bull worries that his clients propensity for brutal honesty could affect her chances in court, he aims to fill the jury with individuals inclined to believe she made a mistake rather than conspired to tamper with forensic evidence. Episode 13 "Prior Bad Acts"
Bulls new relationship with Diana, his on-again romantic rival, is complicated by his renewed feelings for his ex-wife, Isabella, when theyre reunited by the sudden death of her and Bennys father. Also, a deceased tech billionaires brother comes to TAC for help in bringing suit against the doctor he holds personally responsible for the tycoons death. 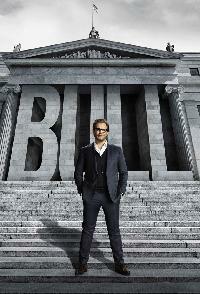 Episode 14 "Leave It All Behind"
Bull aims to raise reasonable doubt among the jurors in his friend Nathans trial when the man is tried for his wifes murder and the prosecutions case is based on circumstantial evidence. Bull gets to work alongside his idol, Walter Franklin, a legendary lawyer who asks him to help a family bring suit against the U.S. government for the wrong death of a man killed while in witness protection. As the trial gets underway, Bulls admiration for Walter is tested when the eminent litigator begins to deviate from Bulls advice in court. The TAC team works tandem cases when Chunk represents his first legal client, Darius Lambert, a young man facing federal counterfeiting charges, and Bull represents Darius grandfather, Willie Lambert, who may lose his business to the FBI for owning the barbershop where the fake goods were sold. Episode 18 "Dont Say a Word"